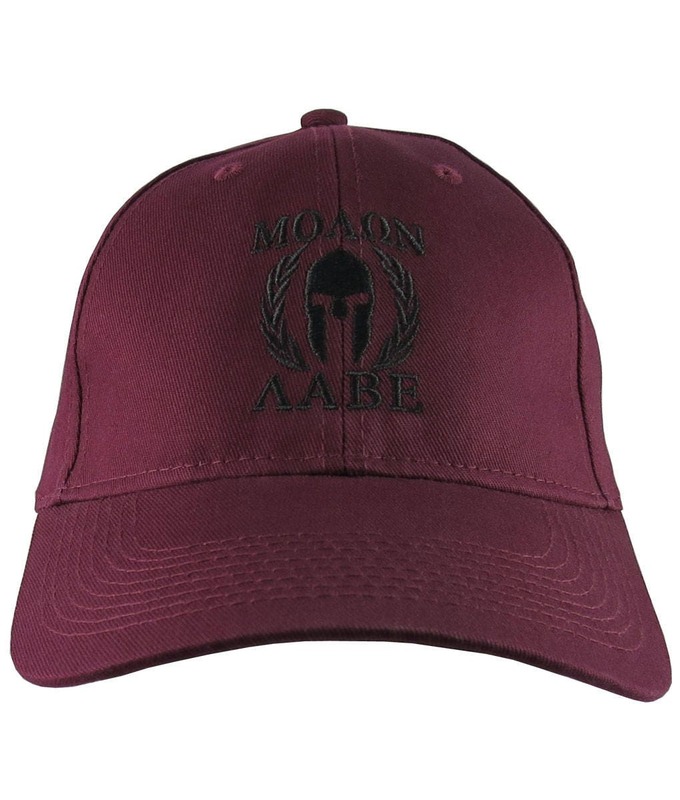 “Molon Labe Spartan Warrior” mask in laurels black embroidery design is a strong symbol of the defiant warrior spirit. 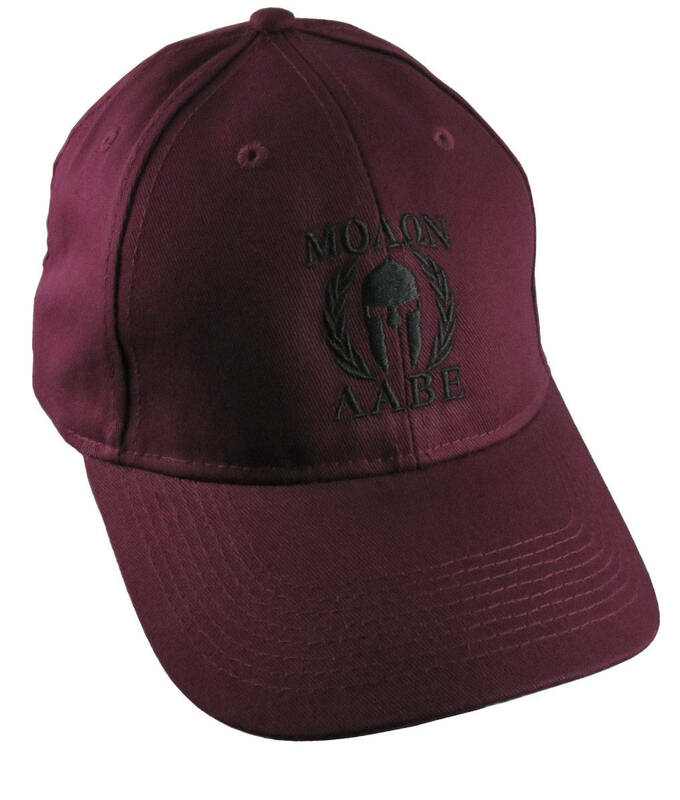 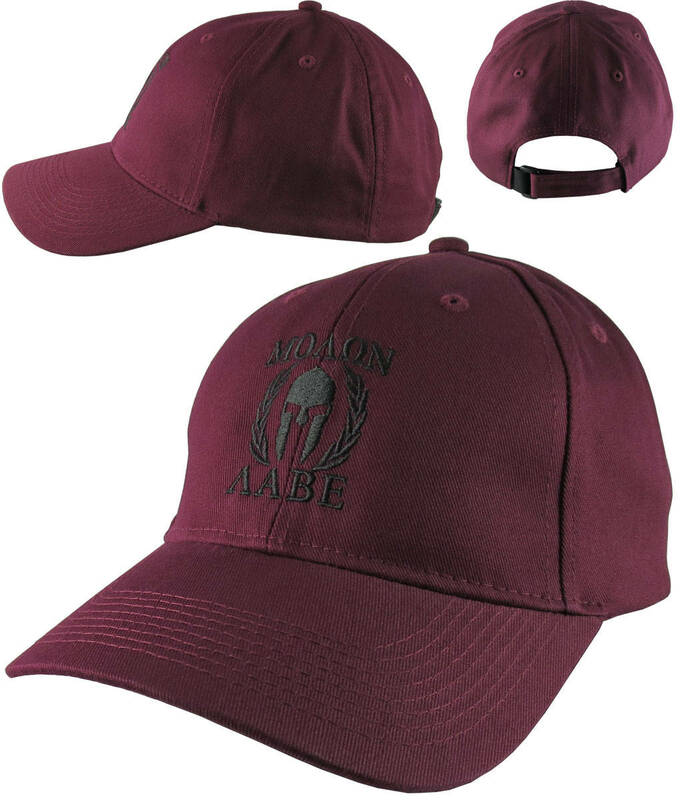 The “come and get them” expression is shown here in Latin on a burgundy stylish adjustable structured baseball cap. 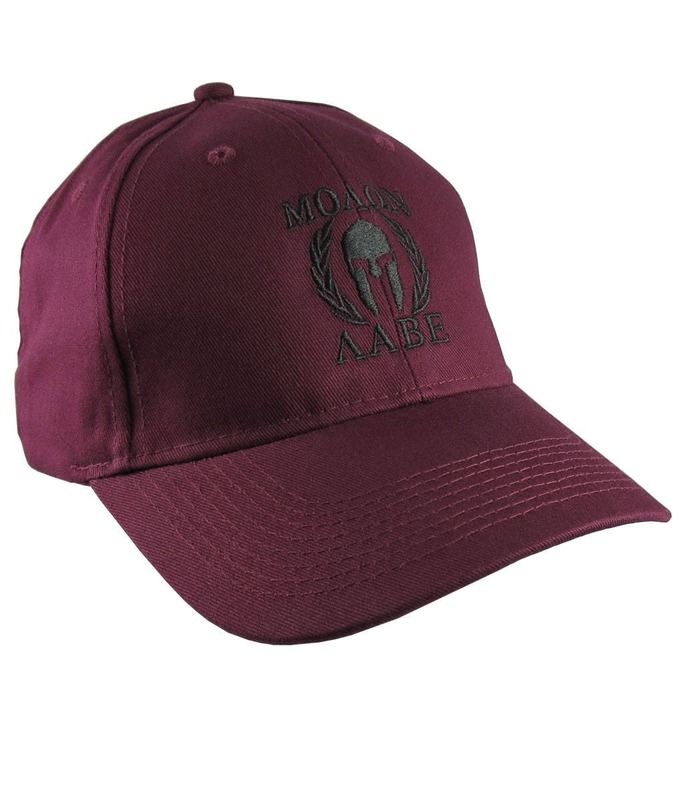 The black embroidery decor on the deep burgundy cap gives it a fashionable tone on tone look.